Croydon Kids runs each Monday during school term from 10am – 11:30. Croydon Kids is run by the parents at St James and is a great place to build friendship and support one another, and is a fun place for kids with singing, stories and play activites. 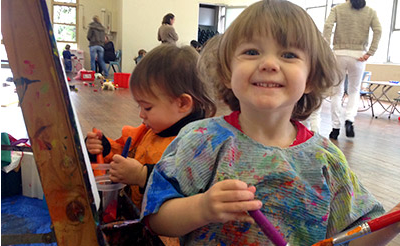 Friday playgroup runs from 10am – 12noon each Friday in school term. It offers a fun playtime for children 0-5 years and their parents or carers with painting, play dough, educational toys, craft, stories and songs, and bike time.